Black Lightning is one of the first major African American superheroes in comic book history. Originally created in 1977, the electrically powered superhero has inspired numerous other minority heroes with electric powers. Now he's finally getting his own TV show. 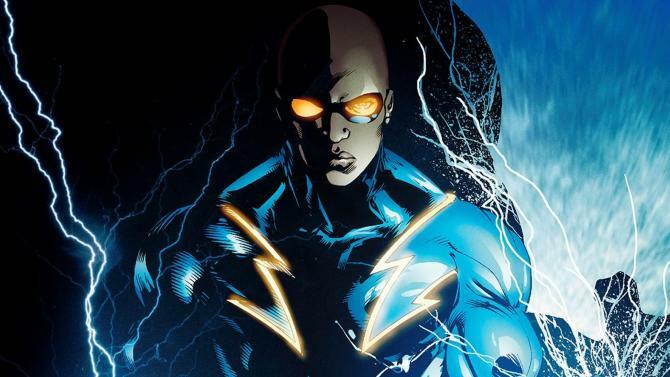 Variety announced that Fox will be developing a Black Lightning TV series. The show will be about Jefferson Pierce, who has retired from his career as Black Lightning years ago. But "with a daughter hell-bent on justice and a star student being recruited by a local gang, he’ll be pulled back into the fight." It will be produced by Greg Berlanti and Sarah Schechter, who already helm the successful DC series "The Flash," "Arrow," "Supergirl," and "Legends of Tomorrow." Husband-and-wife duo Salim and Mara Brock Akil, who were producers on "Being Mary Jane" and "The Game," are writing and producing the adaptation of the comic. We're looking forward to this series. It's great to have more original minority superheroes, and it sounds like an interesting twist on the usual superhero drama. This and Netflix's "Luke Cage" are pioneering a new wave of black heroes. Also, all that lightning will look totally cool. It's only got a pilot commitment right now, but here's hoping it goes to series. What do you think about Black Lightning?